Japan is releasing some economic reports such as Tertiary Industry Activity m/m and Flash Manufacturing PMI along with the US publishing Existing Home Sales, Flash Services PMI and Flash Manufacturing PMI. The support rests at 109.100 with resistance at 109.450 which both lines are below the weekly pivot point at 109.570. The EMA of 10 is moving with bullish bias and it is below the EMA of 200 and the EMA of 100. 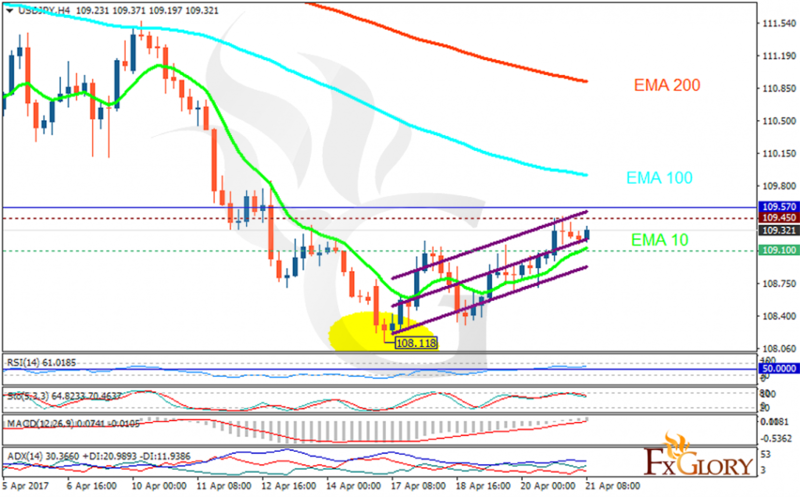 The RSI is moving horizontally above the 50 level, the Stochastic is showing downward momentum and the MACD indicator is in neutral territory. The ADX is showing weak buy signals. Long positions are recommended targeting 110.